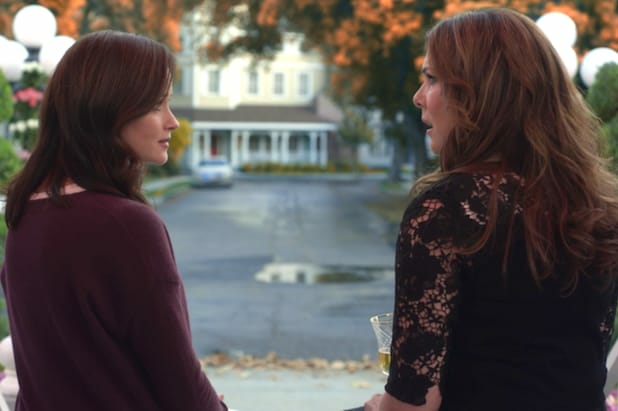 It's been exactly one year since the "Gilmore Girls" revival dropped on Netflix and it would be an understatement to say that not all fans were thrilled with what they saw when Lorelai (Lauren Graham) and Rory (Alexis Bledel) reentered their lives almost 10 years after the show ended. Here is everything that is still bugging viewers about "Gilmore Girls: A Year in the Life." 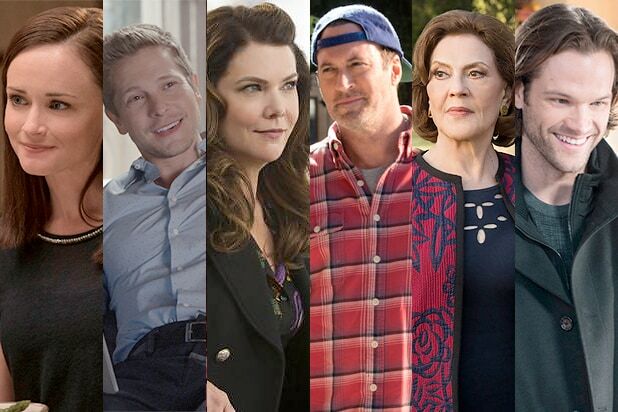 Enjoy reliving the madness that ensued when we got back to Stars Hollow. But first grab some Pop-Tarts and coffee, you're gonna need them to get through this list. Actually, skip the coffee. It will just get you more worked up. 2. Rory didn't learn her lesson about cheating. At the end of Season 4, Rory slept with her married ex-boyfriend Dean and fans, understandably, freaked out. She seemed to have learned from the misstep during the original series, but in the revival she is having a full-blown affair with Logan. WTF? 3. Paul. Why? Just, why? What was the point of Paul? To make us all realize Rory has become just totally inconsiderate to the point where she won't break up with a guy for a year because, reasons? 5. Rory's freakin' phones. The revival took place in 2016, not 2002. It made no sense that Rory would need a work phone, a personal phone and a Stars Hollow phone. This may have been one of the smallest annoyances, but it was a bit that got old *real* fast. 6. Many of the references were super dated. Fans were so excited to get a taste of creator Amy Sherman-Palladino's take on current events, but it seemed like the revival was all over the place with references. Yes, Lorelai and Rory have brains filled to the brim with pop culture facts from decades past, but this was a time for us to hear them riff on what' going on right now. 8. Rory's career (or lack thereof). Rory was a stellar student and the editor of the Yale Daily News. And while she may not have ended the show with a permanent job offer, we were hoping to see that she had made something great of herself since taking off to follow Barack Obama on the campaign trail in the finale. Instead, Rory seems to be not just drowning in the journalism field, but not even trying that hard to stay afloat. 9. Jess. The problem with Jess was there was no problem with Jess. Jess was perfect. Jess was the picture of stability and awesomeness compared to everyone around him. Honestly, this made us mad because we realized Rory didn't deserve to get back together with him at this point. After all, he's come so far and she's regressed so much. So maybe it's good they didn't? 11. That letter. During one of their therapy sessions, Emily brought up a horrible letter she says Lorelai sent her on her birthday one year, only Lorelai swears she never wrote such a letter. And then that's it! We never learned who wrote it or why. Uh, okay. 12. Lorelai's initial reaction to Rory's book. Lorelai has never been anything but supportive of Rory -- sometimes to her detriment. So for her to snap at her daughter's (well, really Jess') idea to write a book about their lives seems really weird. Yeah, she finally got on board, but being down on it from the beginning was out of character. 14. Rory's nomad existence. Rory was a crazy organized person throughout the entire series and the idea that she wouldn't have a permanent address, let alone one place to store her stuff, by the time she was 32 is just unbelievable. Well, it is.